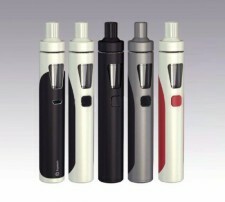 Stop smoking today with JUNO, the best pod vaping system on the market! 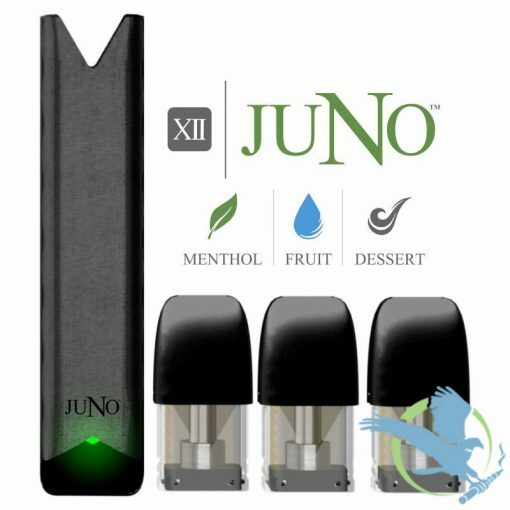 The JUNO by Twelve Vapor is an enclosed pod system that makes quitting smoking easy. 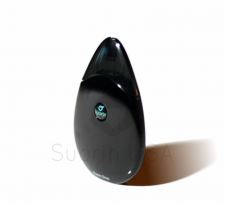 It is a small and discreet device that charges in less than an hour with a micro USB charger. 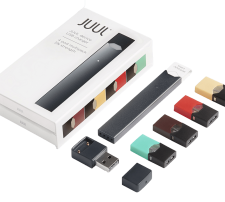 With seven delicious flavors, JUNO pods come in 18mg and 36mg nicotine strength. The JUNO battery is available in brushed metal. For a limited time only, we have red JUNO batteries at Crescent City Vape! JUNO is the most cost-effective and easiest way to transition away from cigarettes. It has a large pod capacity and up to 16 hours of battery life on a single charge. It recharges in less than an hour. The JUNO starter kit is $39.99. JUNO pods come in packs of four pods for $19.99.